Bobby Maddex interviews Fr. Stephen Powley, the Executive Director of Orthodox Christian Prison Ministry, about OCPM's new Matthew 25:36 Fellowship. 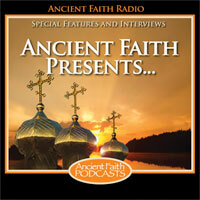 Ancient Faith Presents: What Can You Do to Help Those in Prison? Bobby Maddex interviews Chaplain Patrick Tutella, the Executive Director of Orthodox Christian Prison Ministry (OCPM), about OCPM's 2011 Convocation in Toronto, Canada.